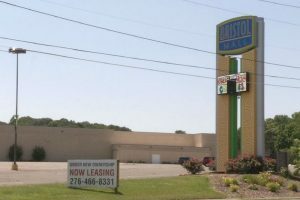 The new owners of the former Bristol Mall in the city of Bristol, Virginia provided on Friday comprehensive details about their plan to convert the vacated building into a casino resort that is expected to attract more than 3 million visitors after its first five years of operation. The United Company and Par Ventures, with both of them being local businesses, bought the vacated Bristol Mall earlier this year. As reported by Casino News Daily earlier this week, the development of a casino resort at the site was one of the possibilities considered by the new owners. More details were shed on Friday about the casino resort plan by local businessmen Jim McGlothlin, CEO of the United Company, and Clyde Stacy, President of Par Ventures. Their plan includes the development of a 90,000-square-foot casino, a 25,000-square-foot sportsbook, 90,000 square feet of dedicated space for children, and a hotel with between 600 and 1,000 rooms. The resort will also feature 50 different stores and dining facilities that will be leased out to interested parties. The plan further involves the development of a convention and conference facility, a business center, a museum of local history, a family arcade, miniature golf, golf and baseball simulators, and different other business- and family-friendly amenities. Developers are planning to invest around $150 million into converting the former mall into an integrated resort with casino gambling. Bristol Mall’s new owners said yesterday that they expect the property will employ around 2,000 people during its first year of operation and the count will grow to over 3,000 by year five and to more than 5,200 after seven years of operation. 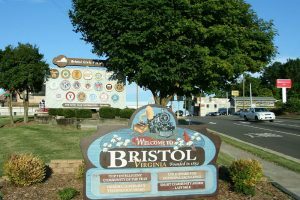 According to initial estimates, Bristol as a host community will reap $26.8 million in annual tax revenue after the resort’s first seven years of operation. Bristol Mall owners expect the economic impact for the Southwest Virginia region to reach $1.5 billion by the seventh year of operation. Economic impact for the whole state is estimated to grow to $1.9 billion by year seven. The property is expected to attract 1 million guests per year at first and that number is expected to grow to more than 3 million within five year. Developers believe that 80% of the visitors would be from outside Virginia. If a casino opens doors at the site of the former Bristol Mall, it would be the only such facility within a 130-mile radius. Casino gambling is currently prohibited under Virginia laws. Neighboring Kentucky and Tennessee also do not allow this type of activity, while Maryland, West Virginia and North Carolina do. The nearest casino is located in North Carolina, 130 miles away from Bristol. In other words, the Bristol Mall resort would not have too much of a competition. However, a casino can only open at the property, if the necessary changes in the current laws are approved and implemented by lawmakers. Virginia legislators have traditionally been opposed to gambling expansion. Previous efforts from the past several years have been rejected in the General Assembly. What is different this time is that Bristol Mall’s new owners propose to add a sportsbook at the property so that Virginia can join other states and reap benefits from the recent annulment of the long-standing federal ban on wagering on sports. It is yet to be seen whether sports betting would help the whole project and would change lawmakers’ minds. A gambling-related bill can be discussed and potentially approved as early as next year. The proposed casino resort has gained some traction in the Bristol City Council. Local media reported that City Councilors are expected to discuss a resolution for support of the project next Tuesday, September 11. If the Bristol Mall plan is approved next year, it is believed that the first phase of the project will be completed within 18 months, with an estimated opening sometime in 2020 or 2021. The second phase, which will involve the addition of more hotel rooms and the convention center, is expected to be completed by 2024.